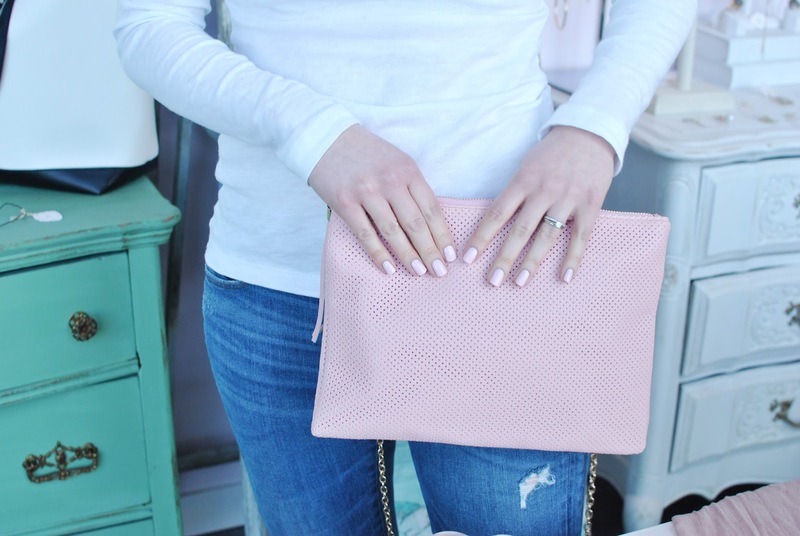 Last week, my friend Emilie and I were invited for a little pampering session at Frilly Lilly. 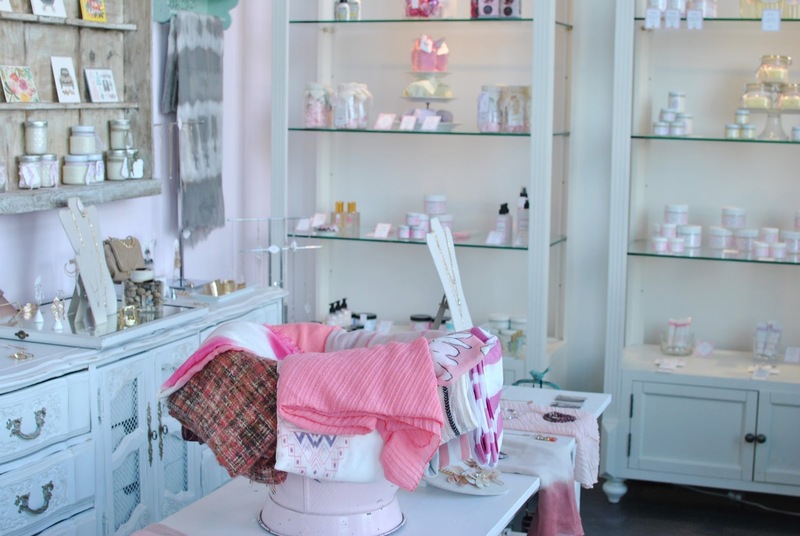 Frilly Lilly is a Canadian spa & store that started in Calgary in 2005 and has since then expanded to 14 locations across Western Canada and California. They recently opened a store in Currents Windermere in Edmonton. 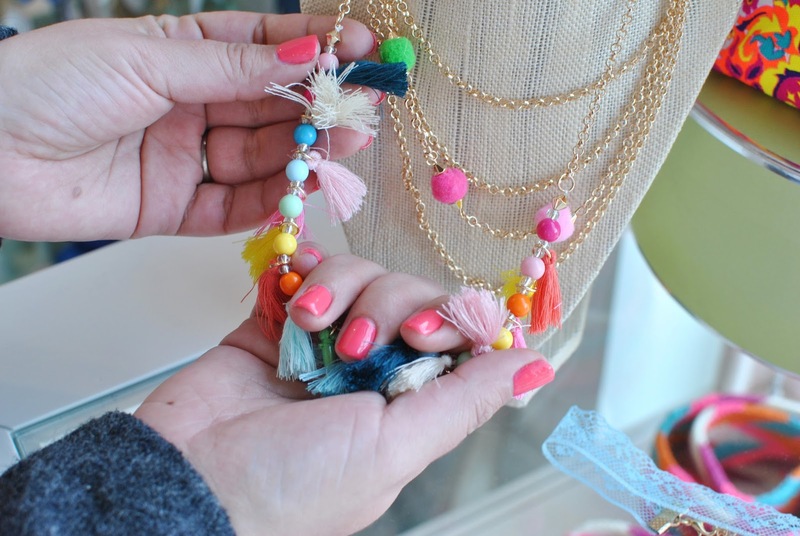 Currents is one of my favorite places to shop in Edmonton and Frilly Lilly is the perfect shop to have there. 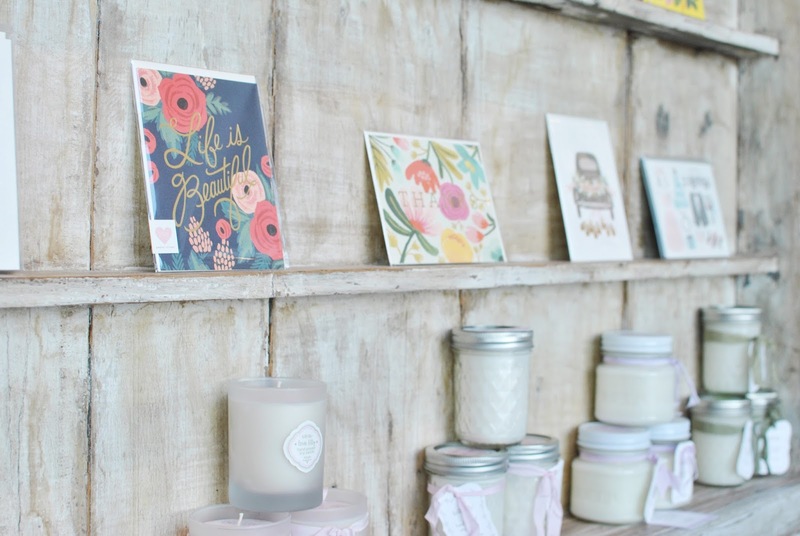 Frilly Lilly offers spa services, complete with waxing, manicures and pedicures, and a storefront boutique with the cutest gifts, cards, jewelry and perfectly curated accessories in a beautiful girly boho setting. Emilie and I both got shellac manicures. 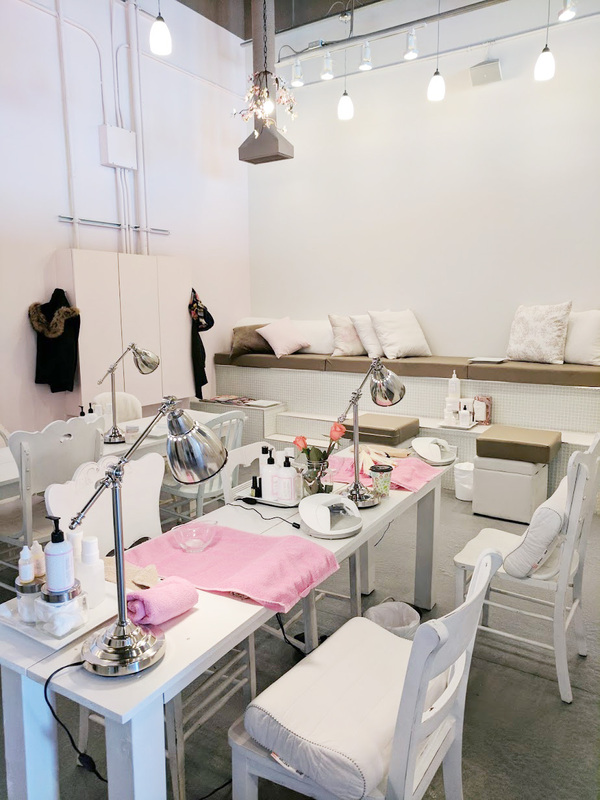 We started with a delicious tea from Sloane Fine Tea Merchants (that they sell in the store if you fall in love with it like I did) and moved on to the back room where we were comfortably set up to receive our manis. The atmosphere is pleasant, delicious smelling candles are burning and there are fresh flowers on every table. 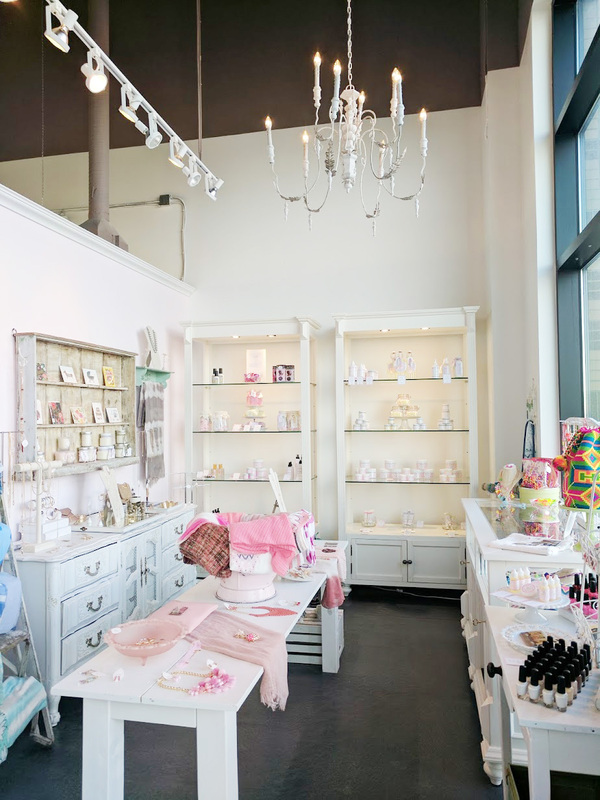 What sets Frilly Lilly apart is their brand: they have their own line of products (candles, lotions, scrubs, nail polishes and many more) and they are all beautiful and luxurious. There are many colors to choose from in the Frilly Lilly nail polish line. Emilie chose a stunning bright coral and I went with a pretty baby pink. Once we were done with our manicures, we had fun looking around and doing some shopping. I found a couple of perfect little presents for my friend's birthday and Emilie bought a gorgeous pair of earrings. It was the perfect girls' date and we both had a great time. I don't get a lot of time to myself, so being able to get pampered while catching up with a girlfriend was perfect. And because I want to share the love, Frilly Lilly and myself are giving you the chance to win a manicure for you and a friend! Keep your eyes on my Instagram page this week to enter the giveaway. Thanks for the amazing time! And what a cute shop! !